All plants and warehouses work differently and have their own needs in order to fill each order. Whenever the operations move to a new space, it needs to be redesigned to fit their needs perfectly. A custom space helps the plant or warehouse fill in the extra space with offices, a catwalk, or storage to help make the area more efficient. Panel Built mezzanines are a simple solution because they allow for these customizations and can be moved as the business grows. Panel Built mezzanines work with the excess vertical space found in the building. 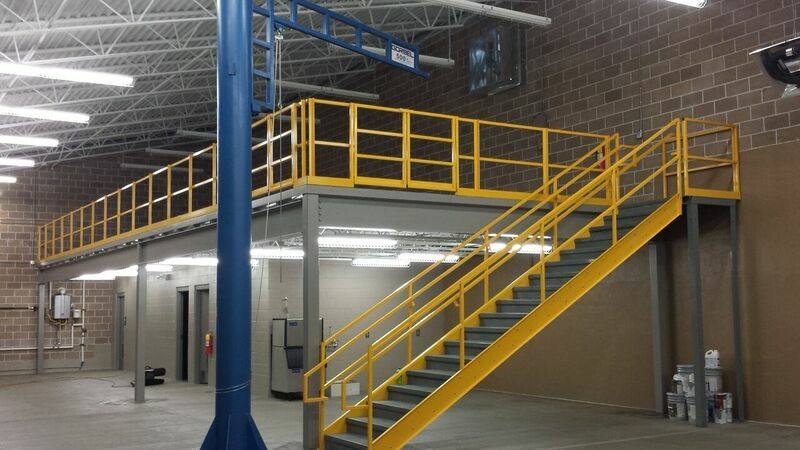 Since most plants and warehouses are naturally tall and spacious, mezzanine systems are an excellent way to build up. Multi-purpose customizations allow owners to make the most out of their building without expanding the space. Property is an expensive investment, so if one can avoid expanding land to get the job done, it can save them quite a bit of time, money, and resources. Mezzanine systems can include a number of different styles in order to help you make the most out of your space. The most common additions are catwalks that allow people to oversee workers below. Wide, empty spaces can be added for storage. Office spaces can also be created to free up valuable ground-floor space. Best of all, no one is limited to just one style. Multiple combinations of catwalks, offices and empty spaces can be brought in to give you a system tailored to your needs. 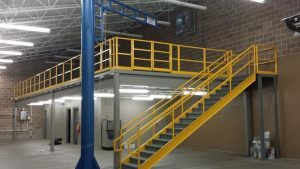 Power Built works with business owners to create custom mezzanine systems. Few people realize that every aspect of the system is customizable, from the window treatments in the office to the number of catwalks in the building. There are multiple ways to create a functional space using fashionable or practical components. The modular structure allows you to rearrange this system as you see fit. This creates a highly customizable, multi-purpose space that grows with your company. All Panel Built mezzanine systems are designed with portability in mind. The light-weight structure can be moved to other facilities or areas as you expand. Businesses will be able to use their custom mezzanine systems in several ways no matter where they are in the world. There are no limitations on the amount of customizations Power Built can provide the business. Every time a system is created, the customer’s needs are kept in mind. If the customer knows they will be relocating often, the most portable modules can be used. This gives businesses spaces that not only thrive with them, but fit their needs perfectly. Panel Built is also a very experienced company that has worked to create many custom multi-purpose spaces. They take pride in their work and make sure that every module is built with care. This helps to create a system that can be used again and again. Let them help you design a superior layout and select materials that compliment your style. It isn’t enough to simply be customizable and portable. High-quality is important when building a structure meant for daily factory, plant, or warehouse use. This is especially true for systems that take advantage of vertical spaces. No one wants to get hurt over something that was poorly built. Power Built mezzanine systems don’t spare any expense in quality, ensuring that their products can easily withstand typical stresses from heavy use. Each system starts by creating a safe stairway and building it to be incredibly durable. The stairway itself is built from a prefabricated metal that allows for weight and pressure on the stairs. As people move up and down the stairs carrying heavy boxes or furniture, they will not need to worry about cracking the steps. The prefabricated metal also helps to prevent natural cracks and corrosion. Businesses can also choose this metal throughout the catwalk and storage spaces. Impressive offices can also be added to the mezzanine system. Complete customization of the exterior is available, so businesses can choose a simple look or make the area look like a miniature house. Aluminum, vinyl-covered gypsum, and power-coated steel panels are available to construct the exterior. If gypsum is chosen, a number of different paint colors can help match any look. Then, the office may be customized with high quality doors and windows. The office space is held up with reinforced steel components to help keep it in place. These extra-durable components help to not only reinforce the idea of safety, but keep the mezzanine system lasting for years. With the help of Power Built mezzanines, a business gets more than a custom system. They get high-quality craftsmanship that they can rely on. To learn more about how Power Built mezzanines can help you take advantage of excess space, please click here.